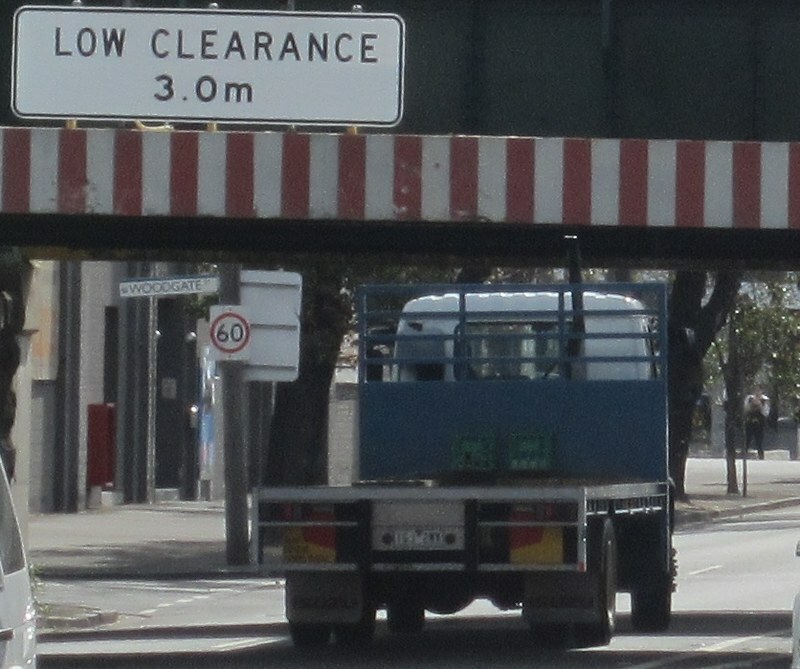 It used to be that the fashionable bridge for high vehicles to crash into was the Spencer/Flinders Street rail overpass — eleven hits in five years. 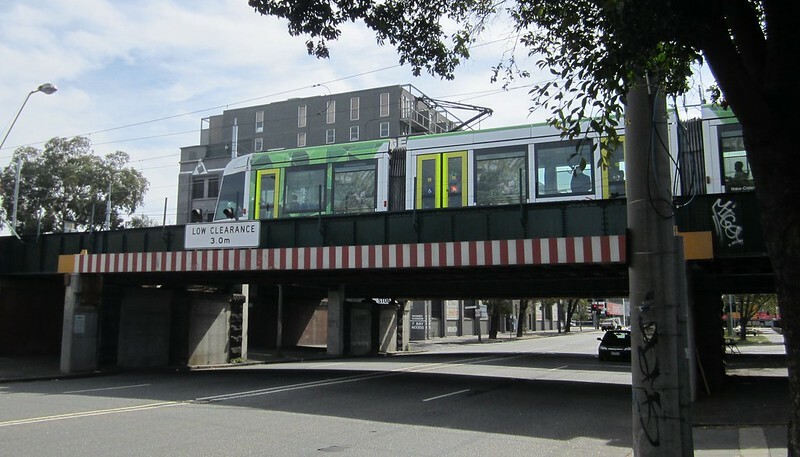 But it’s been usurped by the Montague Street tram bridge. At lunchtime on Tuesday I went down to have a look. 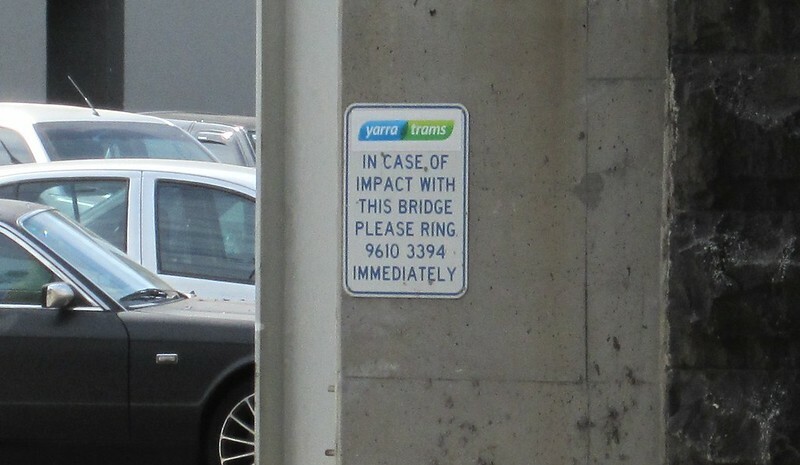 Similar to train bridges, there are signs indicating you should ring Yarra Trams straight away if a vehicle hits the bridge. Presumably that phone number has been rung a few times recently. I was only there for about ten minutes, but unbelievably, another vehicle hit the bridge while I was there. This truck’s exhaust pipe hit the barrier. The pipe bent markedly, but stayed on. The truck driver stopped momentarily, then just kept going. Not a serious collision of course, but amazing that despite all the signage and all the publicity, it still happens so often — this was the day after it had been hit twice. And thankfully the vehicles are really hitting the super-tough guard barrier, so damage to the bridge itself (which would cause untold delays for many tram services and passengers) has so far been avoided. 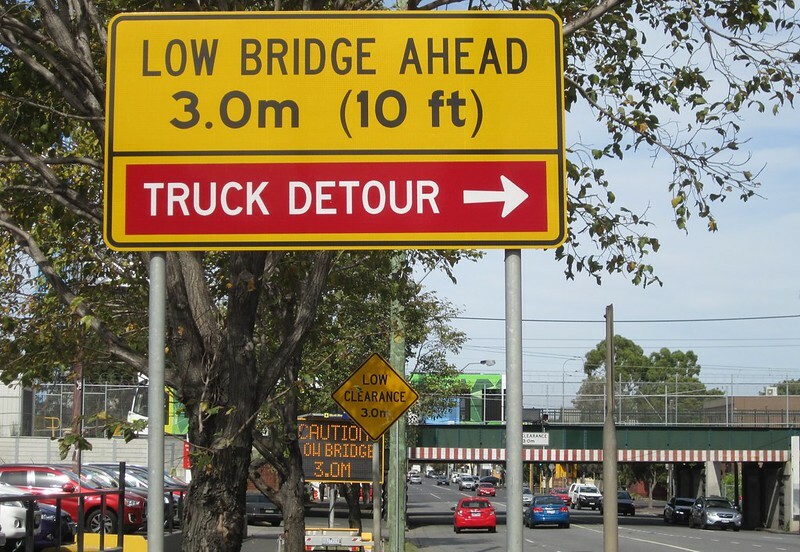 How many days since Montague Street Bridge has been hit?